The present book is part of the invaluable legacy of the martyr Ayatollah Dr. Beheshti. Despite its briefness, it successfully presents the principles and outlines of ISLAMIC CODE OF BEHAIVIOUR. The attractive comprehensiveness of the book together with the need to illuminate the high station of that great Islamic figure, impelled the Islamic Propagation Organization (IPO) to present a re-edition of the work which was first published by The Islamic Center of Hamburg. I.P.O. Dear Ladies and gentlemen: Let me greet first those who- free from arrogance and prejudice- seek the truth, those who humble themselves in its presence regardless of what the truth may be, those who do not blindly oppose it when it requires apprehension and when it ought to be embraced, those who carefully and wisely investigate each problem and having in good conscience evaluated it follow nothing but the best. "And thus preach joy to My servants. Those who listen to the word and follow the best of it. You have invited me to talk to you about Islam today. The actual reason seems to be that you have heard of "Islam" and thereby have been urged to seek further knowledge and learn of its truth. Let me give you good tidings: should you set out on this highway with sincerity and thus follow it, the gateway of a true understanding of Islam will be opened up to you and you shall pursue your course smoothly. I shall attempt in short a talk to explain the cornerstone of Islamic teachings and some of its fundamental features. It will be your turn to consider matters carefully and if you come across anything you would like to understand more throughly, do not hesitate to set forth your questions. The subject will be much clarified in the process of question and answer. In order to banish any lingering restraint you may have at question time, let me tell you that I am as keen to hear you as you are at the moment to hear me. May I finally add that what I may relate about Islam is confined to the results of my personal inquiries, and I have not relied upon inherited beliefs and dogmas or upon the ideas of other thinkers. I have primarily relied upon the Koran which is the sacred text of all Muslim, a book revealed to Mohammad (SAW) so that it may be available to all men at all times and is the most fundamental source of acquaintance with Islam. A book which in myriads of copies has been available to all peoples throughout the centuries. The question results, if one can rely on a better and more trustworthy source to get acquainted with Islam. If we are of the opinion that Koran can be considered the most important Islamic source, it does not mean that sources, for example Hadith (statements or actions of the Prophet (SAW), handed down to us), are absolutely of no value. There is no doubt that a remarkable portion of Islamic teachings ought to be understood by means of these sources. But Hadith and similar sources are only valuable, if they report truly on statements or actions of the Prophet Mohammad(SAW). Doubtful traditions are therefore no acceptable source to us. In order that the false and doubtful traditions exercise no disadvantageous influence on Islam, the principles of this religion demand all traditions- Hadith, etc.- be first compared with Koran, thus eliminating such relevant points which do not comply. Therefore, everybody who wants to realize a true investigation of Islam and its principles must consequently first throughly know Koran in each and every respect and compare each and every theme in tradition, history and similar fields with the same. The cornerstone of Islam is "Tauhid", i.e. Monotheism. "Tauhid" means belief in only one God and that existence in general-- among other things the order of nature--is a manifestation of His grand design, as well as turning to God in prayer and glorification, away from worshipping any other. The first article of faith is: "La ilaha, illa-llah"
-- "There is no God but Allah." And the first step towards Islam: "Ashhadu an la ilaha illa-llah"
-- "I testify that there is no God beside Allah." All the other teachings of Islam are founded upon this and have their sources here. Accordingly Islam proclaimed monotheism to be the path to salvation: "Qulu la ilaha illa-llah, tuflihu"
--"Say: There is no God but Allah, and thereby you will attain salvation." "No vision can grasp Him but His grasp is over all vision. "The Creator of the heavens and of the earth. He has created pairs of yourselves as well as pairs of the animals-thereby He multiplies you. a God who knows our most secret thoughts, Listens to the prayers of all His servants, grants each and everyone his due; a God who is nearer and more gracious to us than any other being." Since man's mind has more to do with relative ideas, that is to say his ideas are of relative things, even in the understanding of those of His attributes which the Koran mentions, man is liable to go astray and fall into error. It is owing to this shortcoming of the human mind that there are many verses in the Koran which attribute to God purity from imperfections which have their seat in the native deficiency of our thoughts. (9) Has God Any Children? Among these erroneous ideas is the notion that God has children. There are people who believe that Jesus-peace be with him- is the son of God. There have also been people and perhaps there still are, who fancy that angels are God's daughters. "... And they falsely, having no knowledge, attributed to Him sons and daughters. Praise and glory to Him! "And they say: 'Allah begot a son. The Koran warns us against considering angels and apostles as God's offspring. They are His bondsmen, though admittedly eminent among them. But by no means may they be considered as His children. Adam, Noah, Abraham, Lot, Hud, Saleh, Ismael, Isaac, Jacob, Shoaib, Moses Joshua, Enoch, John, Jesus, Mohammad, and the other apostles are like us in so far as they are men and God's servants. He has created them as He has created others. Should those who say that Jesus is God's son mean that God is a father as we are to our children, then their characterisation of Him is improper. God is elevated above such immature fancies. On the other hand, if they mean something different they should use a different notion to express it, rather than the misleading term "Son of God"
Using such expressions as "Son of God" always involves the danger of the only God, to Whom nothing is alike, appearing to men as a magnified human being living beyond the clouds. This is the danger of anthropomorphism which is a stumbling block on the path of a correct acquaintance with God, deviating the course of men's thinking. The unfounded and fanciful beliefs of many believers and the weak objections made by many agnostics and atheists are nearly entirely the result of these unfitting ideas which are in turn produced by the anthropomorphising imagination of man. Believers create in their fancy something they call God and worship this image, and unbelievers considering this product find it an idea without any foundation and thereupon reject to believe in His existence at all. But truly, both are in error. Islam is a total abstinence from comparison (anthropomorphism). Islam considers a correct acquaintance with God as being related to a proper understanding of man and universe. According to its teachings the better our knowledge of man's nature and being , the more perfect our knowledge of God and the truer. --"Whoever knows himself knows His Lord." This also holds true of creation in general. A better understanding of the creatures is a real help towards better understanding of God, the Creator. On the other hand, any kind of deep-rooted error or unfounded fancy about man and universe, particularly God's relation to man, universe and to angels leads to an erroneous idea of God, the Maker because the knowledge of cause and effect are intimately related. There are many verses in Koran inviting man to reflect upon himself and the universe in order to acquire a better understanding of God. "In the creation of the heavens and the earth , and in the alternation of night and day, there are indeed signs for men of understanding (definite) proof." Recognition of God/cognition of man and universe. 'Allah has not sent anything down to man ', Say, who then has sent the book which Moses brought as a light and guidance for mankind, but you have made of it sheets of paper which you show while you conceal much." A group of Jews who had dealings with the Meccan's heard that a messenger had arisen from among the Koreish saying: 'God has revealed to me so that I may rise up against those who take partners unto Him, and to rise up against ignorance and oppression. I have been ordained by Him to place within the reach of men the divine truths, so that all may know God and the right way of life, pleasing Him , and to deliver them from error'. 'What about the book brought by Moses? From where did it come to him? Is it not true that exactly like the Koran it was sent down as a revelation on one who had been chosen for prophecy, so that he may guide men'. Verily, Moses too was a man to whom a Holy Book had been revealed as well, and that illusory claim-'God never sent a revelation to man'- is based on ignorance. The unwise claim by the Jews was directly related to the problem of the revelation, but Koran has considered it as a result of their wrong conception of God. Islamic teachings say: "Oh man ! O you, who from time to time forgets his noble station bowing down in fear to sun, moon, stars, mountain and wind, and in whose sight they appear so great and powerful! O You, whose mind and soul have been conquered by the majesty and grandeur of the rich and mighty gaping at them in awe, taking them to be divine Gods, worshiping them in humility and enslaving yourself to them! Wake up from your deep sleep! No earthly or heavenly thing has ascendancy over you! You have not recognised your worth and have cast yourself for no price at their feet! Arise! Learn of your strength with which God has endowed you and employ your faculties rightly! If you attend to God's bidding, you will see that you are neither as little nor those as great as you fancy." "Have you not seen that Allah has subjected to your (use) everything, all things in the heavens and on the earth and has made His bouties flow to you in exceeding measure, (both) seen and unseen ?..." "It is Allah who has created the heavens and the earth, sent down water from the sky, brought out fruits therewith to feed you; rendered ships to your service that they may sail through the sea according to His will and He subjected streams and rivers to you." And He has subjected sun and moon to you, both diligently pursuing their courses. And the day and the night has He subjected to you and He has given you all that you ask for. And if you count the favours of Allah, you won't be able to number them. Verily, man is unjust and ungrateful." These verses and many others point to the possibility of man to dominate nature. Fourteen centuries ago man had progressed only so far as to control sheep and cattle, camel and elephant. He had learnt to use their milk and meat and hide, ride them or bear his cargo on their backs. He had learnt to conquer somehow the restless sea, ride its billows in small or large vessels and cross that seas with his merchandise. He had also learnt to harness turbulent rivers and by building dams or channelling off their angry waters drive them to serene orchards and fields. But did man always have control of such things? There was a time when even such paltry things were beyond his reach. On the contrary, fearing all or some of them, he could not muster courage to face them. In the course of time he came to learn that he had no reason to fear them and casting off his irrational fear, his inner faculties opened up and in the light of labour and thought, he conquered and came to master them. Now the Koran inspires man to consider his area of influence wider. Let man know that day and night, the sun, moon and stars and in a word Nature in all its majesty is awaiting his conquest, on condition that he does justice to himself and does not give in to ignorance and lust, on condition that he does not strike the wrong path but chooses the straight road which God has set before him and that he be not thankless to his Creator. "Oh man, let not your feeling of increasing strength lead to vanity, the other extremity of the middle way! Once again consider yourself how, despite your might , you are like a bubble riding the seas. It will not be long before you lose your youth and freshness, your will to work and power to think. Despite your search for strength through art and science, from time to time you still suffer illness and weakness or old age and uselessness, so that you cannot drive away a mite from yourself. Do you know to what this change points? It points to the fact that though We spoke of your high station, you are part of the universe in which nothing owes its life to itself nor is anything in it everlasting, and everything in it a ray of God the only lasting thing, independent of all else. Hence, never banish from your soul the thought of Him, on Whom you depend for your life and your very existence. Make your bond with Him secure and attempt to get closer to Him." How can we draw near to God? God's perfection and existence know no bounds, while the existence of all other beings, however, is relative. The relative beings of our universe are on the path of evolution and through their inner light seek perfection. Seeking perfection is to search for God. The more one acquires relative perfection, the nearer he gets to God, the Absolutely Perfect. Man is also one of those beings who of their inner light seek perfection, but however hard he may try he cannot cast off his relativity. He can but keep on the path and increase his measure of perfection and thus approach God, the Absolutely Perfect. This is the true meaning of approaching God in Islam. According to the teachings of Islam any act of worship in general may be considered as a means of approaching God only if it helps man on his path to perfection or maintains the development he has already attained. God is available to all men, at all times, in all places. Anyone may turn towards Him and seek His help. "And when My servants ask thee concerning Me: I am indeed close (to them). I respond to the prayer of every petitioner, when he calls on Me." The basic condition of prayer is that man turn to God in all sincerity. It is only then that God will answer his prayer, regardless of time and place and needless of intercession. Sinners may also turn away from sin at any time and place and take the path of goodness and expect God's mercy and they need nothing and nobody else to have recourse to. "Say: 'Oh, My servants who have transgressed against themselves! The universe and all it contains is a creation of God. The laws governing the universe, including the laws of nature, are God's laws and the ways and habits, ordained by Him. Among the verses of the Koran we find that events generally attributed to nature (and from one point of view this is true) are considered as God's work. "It is Allah Who has created the heavens and the earth, sent down water from the sky, brought out fruits therewith to feed you, rendered ships to your service that they may sail through the sea according to His will and He subjected streams and rivers to you." Such verses teach us that according to the Islamic notion the natural order is not in opposition to God and His laws. Rather, it is regarded as part of creation and God's divine order. Hence, belief in God and His infinite power does not imply an attitude of disregard towards nature. Neither should man's belief in God's infinite power result in holding him back from its scientific understanding or practical acceptance of nature nor should concern with nature result in a disbelief in God. The scientific knowledge of a believer in God is similar to the scientific knowledge of a disbeliever, both in theory and in practice. In understanding nature and harnessing its forces they both proceed hand in hand. They differ only in so far that the man of science believing in God does not imprison himself within the bounds of nature although he is engaged in scientific research and technical application. For him, nature is a mirror in which he sees God, its Creator. The disbelieving man of science on the other hand is so engrossed with nature that he cannot penetrate its veil and reach beyond it to its Creator. Even believing in miracles does not affect the work of a Muslim scientist, because they are extremely rare accurrings in keeping with their particular order only when necessary. The ratio of these events to natural ones is less than even one in a billion and it is an accepted principle in the methodology that such exceptions do not affect the value of a scientific law or its technical application. Therefore, belief in miracles does not imply a rejection of nature and vice versa. Nature and its numerous active elements serve God. The staggering order of nature is an emanation of God's will. All nature phenomena, results of causes, actions and reactions of a material and natural kind are at the same time a ray of God's omnipotence, omniscience and His divine will because natural causes are at God's command eternally. Verses from the Koran openly proclaim that the world in which we live is endless. Further, God is incessantly in the act of creation, increasing creation as He wills. Therefore, man's progress in science and technology with an eye to using the limitless resources of the universe can never come to a halt and the door of work and endeavour will always be left open. The teaching of Islam concerning free will, predestination and immortality lays great stress on strengthening man's will to work and try correctly against a background of correct thinking, using up his immense capacity for knowledge, correct judgement and initiative which God had endowed in him , on the one hand and increase his capacity of endurance and resistance against difficulties and tribulations, normally occurring in life on the other hand. Such teachings are opposed to all manner of indolence, and fatalism when man is faced with natural and social difficulties, and frowns upon those who are not robust and possess no self-assurance when facted with the bitter facts of life. 1. Scientific, technological and social progress shall not result in man waxing proud and thereby disregarding his Creator. 2. This endeavour and progress shall be utilized to better the condition of men and never be used in propagating sin or to buttress the foundations of cruelty and oppression. Man's thought soars above the clouds in problems concerning nature and he can expect increasing progress of his faculties. It is precisely for this reason that God's messengers have had no special functions there. But in order to solve problems beyond the realm of nature, and to gain an insight into the after life and man's ultimate goal , he is surely in need of guidance from God. The God gives men and the guidance He sends down upon them is through men to whom He makes revelation, ordaining them to guide their fellows and to teach men what has been revealed to them. They are the prophets. The teachings of the prophets are neither the result of scientific research nor that of personal experience, but God's teachings which are sent down to them through revelation. The Koran from time to time reminds us that the prophets are men in their substance and they are distinct from others owing to their ability to receive and pass on revelations in order to lead men. In other aspects they do not differ from other human beings. Exactly like others, they are born, eat, drink, sleep, procreate, rear children, and live their span of life, and then pass away. Islamic teaching concerning all messengers of God, among them Adam, Noah, Abraham, Moses, and Jesus is the same. They are all men raised to the station of prophecy and their only distinction is that they receive God's revelations to hand over to their fellowmen. Koran speaks, too, of miracles worked by the prophets , but in many verses it is stressed that to work miracles is not left at their discretion. They do not possess an extra faculty to those we own, thus working miracles on request. Those opposed to Islam constantly requested miracles from the Prophet. They would say that if he was truly a prophet of God he ought to be able to do extraordinary things without further ado. The Prophet would reply: "It is not left to me to perform miracles at your caprice." The miracles you have heard of God's prophets are God's works performed exceptionally when conditions have rendered them necessary, regardless of the personal inclination of the prophet concerned. Accordingly, miracles do not raise a prophet above the station of other men. See Koran, sura 6, verse 109, sura 17, verses 90-93 and many other verses. Before coming to know the prophets of God we have only one source of knowledge, experiment and thought, science and reason. Once we have known the messengers of God and got sure that they utter nothing but from God we have gained a new source to realize the truth, i.e. the teachings of the prophets which originate from the revelation. Man has no better source of acquainting himself with God, the problems of the hereafter and a way of life both pleasing his God and resulting in eternal happiness. The Koran openly proclaims that Islam is not the creed of Mohammad (SAW) alone; it is the religion of all the prophets of God. Because Islam, which means surrendering to the truth, is accepting the teachings of God, acquaintance with God and obeying Him and being aware of selfishness and bias in these matters. Accordingly Islam is not only the creed of the prophets but it is the religion of men seeking the truth. This is why Muslims respect all prophets, and their scriptures, and believe in them. The teachings of the messengers of God were gradually tainted by impure hands and various superstitions introduced. Matters would go so far that even qualified scholars were not able to distinguish the true teachings of the prophets after hard labour and scholarship because those ignorant friends as well as foes with ill intentions had tampered with the sources of religion and even with the divine scriptures. Under such conditions the only remedy was to send a new prophet to whom revelation would be made again and thus the divine truths would be made available anew. The Koran has in the course of relating the stories of most prophets explained this point. This state of affairs was renewed in the seventh century. If anyone sincerely sought after the teachings of Abraham, Moses and Jesus or the other prophets of God, it was no longer possible for him to attain to the truth. because there was no reliable source at hand. Neither the Pentateuch had a clever history nor the Gospels or the teachings of the other prophets. These books had been tampered with and this had rendered them valueless. At this time Mohammad(SAW) was raised by God to accept his revelations and hand the them over to mankind. According to the unquestionable evidence of history, the verses of the Koran which Mohammad(SAW) as prophet delivered from God had an entirely new and miraculous style which was inimitable. This feature was effective in guarding the Koran from alteration. Moreover, these verses, named the Koran, were made available to everybody and spread rapidly. This rapid spreading of Koran during 1334 years since the death of Mohammad(SAW) has also protected the Koran from all the causes of alteration and tampering. It is today available slightest difference in its innumerable copies. Having such a source book of high authority is a distinction of Islam not shared by any other religion, making it possible for anyone at any time and place to understand it directly and immediately, protecting himself from any error in its understanding. One of the teachings of the prophets is that man's existence does not cease with death. Death is only the end of the period of man's struggle and endeavour. During this period he has to find out for himself with his own judgement the right path from the wrong and decide upon his course. He finds his conditions during this period in a state of flux and seeks to preserve it, if good, and to alter it for the better, if bad. With the advent of death, change gives way to eternity. From then onwards his state is unalterable; it will be what he has made of it in his period of evaluation and endeavour and the afterlife is where he achieves the fruit of his struggle during the previous period. This is Islamic teaching about life and death and the hereafter. What is paradise? It is the eternal home of the blessed and the blissful and of peace, a home which the righteous have prepared for themselves during their lifetime by honesty and sincerity and God pleasing endeavour. The abode of eternal pain and punishment which evildoers have built for themselves by taking the wrong path, doing evil and oppression and spreading wrong doing. What has been said heretofore are the basic teachings of Islam. Islam has a lot of detailed teachings in other fields. On the one hand they depend on these basic teachings and on the other hand on individual, family and social needs of men spiritually as well as physically. Prayer, fasting, the Hajj pilgrimage, struggle and endeavour in making known God's religion and relieving His servants from oppression, supervising government, attempting to establish a just and true social and economic order, love of fellow-men and helping the needy and helpless, orphans and the poor, truth and honesty, purity and a constant effort in attaining physical and spiritual hygiene from some aspects of this teaching. Their detailed description cannot be expected in one or two short talks. I hope by means of numerous talks or printed information about Islam, which we will place at your disposal, you will get acquainted with them(*). (*) This concludes the lecture that was given by the martyr Ayt. 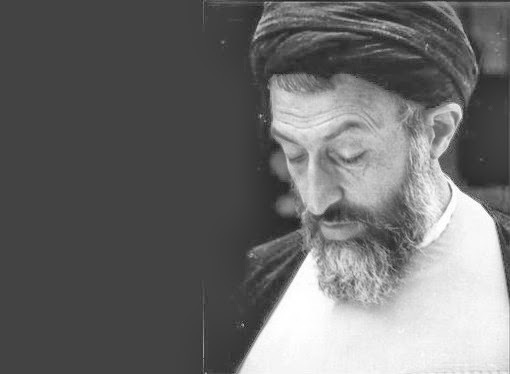 Dr.
Beheshti to the "Epiphany Community Hamburg" on October 14, 1965 and to the students "Corps Rhenania Hamburge" on October 29, 1965.